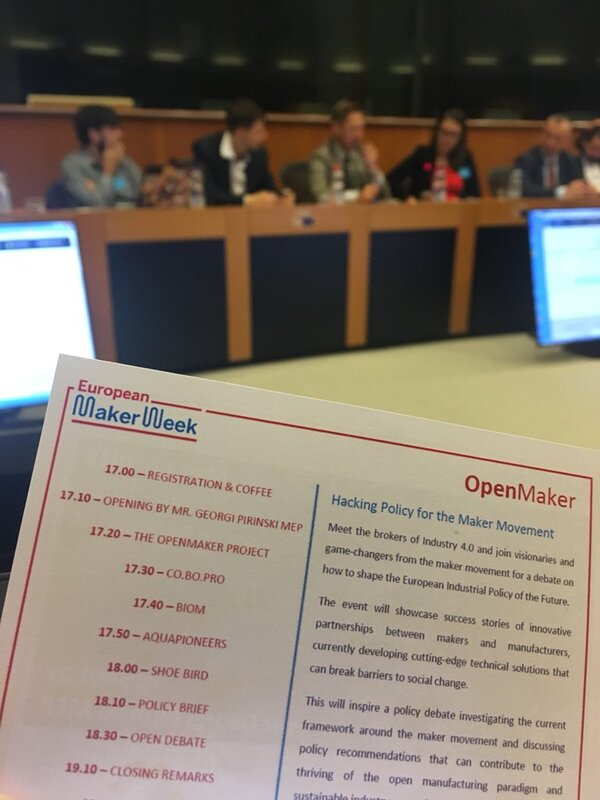 On the 22nd of May, as part of the European Maker Week 2018, OpenMaker was delighted to present the high-level policy event “Hacking Policy for the Maker Movement”, held at the European Parliament. 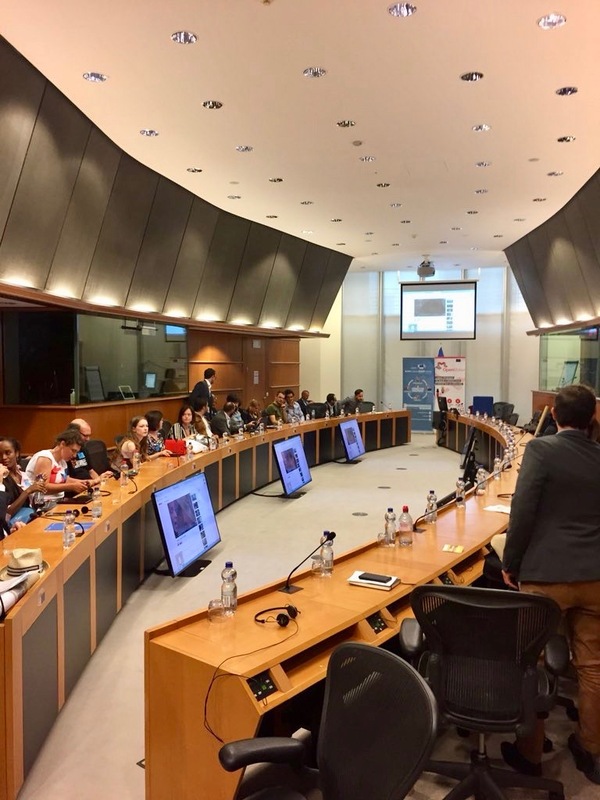 The policy session was kindly hosted by Mr. Georgi Pirinski MEP and chaired by Luisa De Amicis, COO at PlusValue, with the generous participation of Mr Pēteris Zilgalvis, Head of Unit Startups & Innovation (DG Connect). We were honoured to have MEPs and representatives of the European Commission join a room full of passionate innovators from the Maker Movement and the Open Manufacturing sector, with the common aim to engage in a conversation on current industry challenges and advance new solutions for the industry framework of the future. We believe, indeed, that political commitment and bottom-up communication are crucial to break existing barriers to social change and, as Europe decides on the next seven-year budget and considers its approach to Industry 4.0, a conversation about the Maker Movement has never been more relevant, or even needed. This forward-thinking conversation is exactly what our event successfully contributed to. Download the full agenda of the event here. 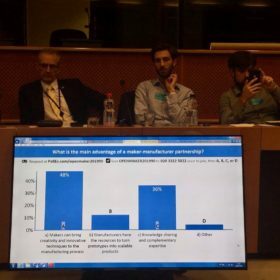 The event kicked off with a thought-provoking, interactive poll, in which attendees offered their view on the future of Industry 4.0 and on the challenges and advantages of maker-manufacturer partnerships. 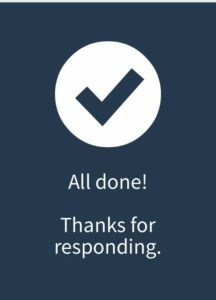 This provided real-time graphs on the general opinions of the key stakeholders sitting around the room and represented an excellent starting point to a heated discussion. If you would like to contribute to the (short!) policy survey, please click here. Four projects from the OpenMaker community (one for each accelerator hub in Slovakia, Italy, Spain and the UK) presented their innovative ideas and products, currently contributing to a more sustainable industry and to the European digital economy. This shed light upon the ambitions and needs of the emerging open manufacturing industry and the tech-savvy and socially-oriented revolution of the maker movement. Giacomo Falaschi presented the Co.Bo.Pro., a project seeking to provide temporary human prostheses made exclusively of cardboard, facilitating the production and the delivery of prostheses at lower costs in war-affected areas. Vlasta Kubušová from BioM is currently developing a renewable, biodegradable material that can replace oil-based plastic, with huge environmental consequences for current production systems. Loïc Le Goueff Loïc and Guillaume Teyssié, the co-founders of Aquapioneers, showed how they are providing a kit for sustainable urban farming with a process called Aquaponics - an ancient cultivation technique on water and without soil, making use of fish excrements as fertiliser and saving 90% of water (picture above on the left). Finally, Fiona Armstrong - author, entrepreneur and activist in the fashion industry - talked about her project Shoe Bird, which hopes to develop a system for small scale manufacturing of fashion footwear that is sustainable and client-centred (picture of 3-D printed shoe prototype above on the right). You can download full speaker profiles here. Raúl Tabarés Gutiérrez presented the Policy Brief and Call for Action sketched by the OpenMaker partners Tecnalia and PlusValue. You can consult the document here. These hands-on introductions inspired a fruitful debate contributing to further open up the conversation about topics such as the future of Industry 4.0, sustainability, social and technological innovation and on how to positively influence current policy-making for the maker movement. Next steps ... to shape policy change! The event was not a one-off and represented only the beginning to our journey towards policy change. Now OpenMaker is very keen on following up to shape the policy agenda! We are delighted to share with you our Policy Note with the main outcomes of the event and the key policy messages that emerged from our policy debate. In line with the spirit and philosophy of the movement, we encourage you to contribute to the document and send your comments. We will then pass on the message to policymakers and make sure that your voice and the policy wishes of the Maker Movement can reach the top table. After the summer we will prepare a longer version of the policy note in which we will include best practices and case studies, so feel free to add many of those and share your knowledge. Policy Note, send your contributions and comments by the 20th of June.